After spending four days in the seven-house "village" (more like tip of a mountain) of Mon Bouton, we were amazed at the hospitality and selflessness of our hosts. We never felt threatened or pressured by any of the people from the mountain, which has not necessarily been the case when dealing with city people. Toma is simply the most appreciative and friendly person (image on top). Toma helped us with the coordination of our stay at Mon Bouton and also lives on the mountain (5-10 minutes down from Mon Bouton... or 45 minutes walk down for us). He was always gentle in his requests and gracious for anything we gave. Rony (other image), a 19 year-old from Port-au-Prince who was visiting family on the mountain, made us a little more uncomfortable on some occasions. Rony also went out of his way to accommodate us (he would insist on carrying an extra bag, bring us extra water, etc. ), and often accompanied us around the mountain to translate our desires to our families. But at the same time, he repeatedly asked us for favors to the point of pestering. He would give various contexts for why he needed things from us, such as wanting to open an English school, hoping to join the US army or wanting to become a translator. With each day, his needs diversified, with the only consistency being a want for a facebook or email account. First he wanted a laptop, then an English book, then a US map, and then a myriad of things from a boombox to work gloves to a soccer whistle. We could not help but begin to wonder what goes through his mind. Did he really need these things or did he just want to sell them? Is it mainly the desire for hope and connection with the world outside of Haiti? Were some of his stories just sly invention? Once we got to the city, Rony's behavior started to make more sense to us. First of all, Rony was devastated by the earthquake. He lost everything, including two younger sisters, and moved to living in a tent in an area he described as being "the ghetto". Toma, while suffering from the earthquake, did not lose immediate family members. 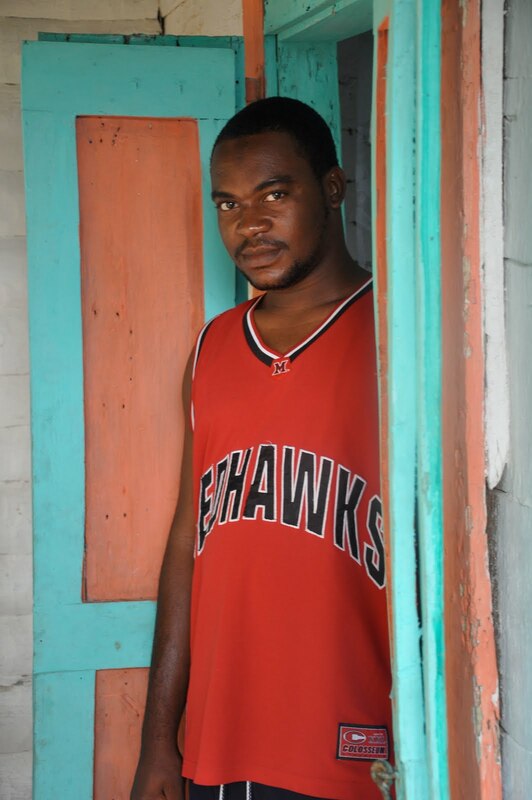 But apart from the desperation from the earthquake, Rony has a "Port-au-Prince personality" that is more aggressive than the mountain personalities we encountered. In the city, blanc, or white people, are there to be taken advantage of. Unlike on the mountain, where help might come at year-long intervals and you have no way to seek it out, in the city you have an accessible option (at least in theory) but only if you take advantage of it. Therefore we have to stay alert in the city, where Haitians constantly confront you asking for money or selling goods, hoping to convince you into giving a few coins. Rony wanted a connection to the US in any way he could, whether by email contacts or photos with white people, but at the same time wanted a relationship and was looking for ways to help. Stealing or did not even cross the minds of the people in Mon Bouton. Toma's influence made sure nothing took away from our unreal experience on the mountain. We are going to stay in touch with Toma, and assist Rony by creating an email for him and sending him some books so he can study English.